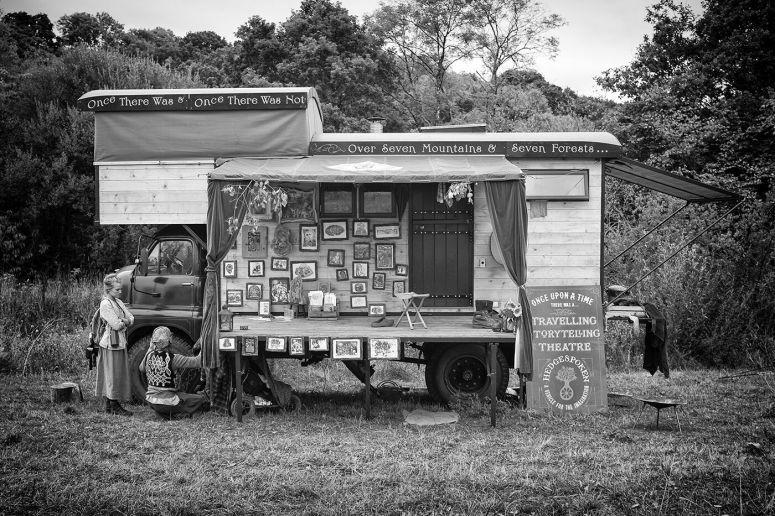 HEDGESPOKEN is a travelling off-grid storytelling theatre run from a 1966 Bedford RL lorry, converted to be a home and a go-anywhere stage. 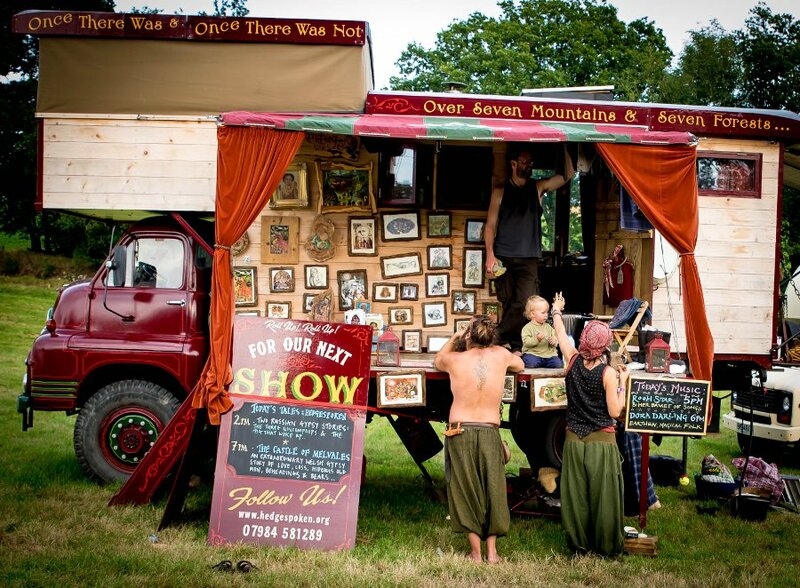 Storyteller, mask-maker and writer Tom Hirons and internationally-respected artist, puppeteer and musician Rima Staines tell tales and spark imaginations from the Hedgespoken truck wherever they can, from busy festivals and family camps to quiet laybys and secluded forests. Hedgespoken specialise in retelling East European and British folktales and also stories from the wide world of the Traveller and Gypsy communities. To find out where Hedgespoken is appearing near you, have a look at the TOUR DATES page. To read about our latest shows and see posters of past shows, go over to the SHOWS page. To buy tickets for shows, visit the BUY TICKETS page. To get in touch with us, use the CONTACT page. If you'd like to book us for an event or festival or the like, have a look at the BOOK US page. See the ABOUT page for more about Rima and Tom.